Am I the only opera user having this "problem"? 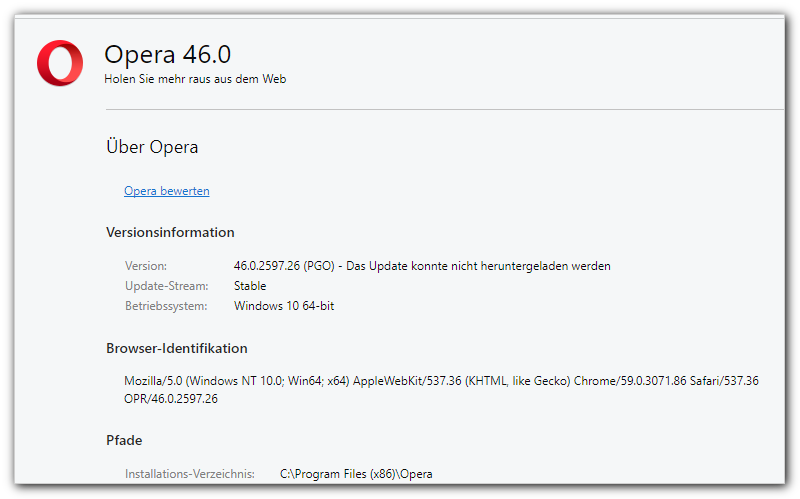 ... but, hey, now – maybe after few restarts of Opera – the message »Opera ist auf dem neuesten Stand« appears. If you do a portable installation, does it work? Did you try to download and run the offline installer? Ok, I did it – using the offline installer. Hopefully only once and not for each small update. PS: Thanks for all your comments!